One look at her and you would know she was up to something! The impish grin, twinkle in her eyes. With no one watching, the little girl popped the lollipop into her mouth and continued her hopscotch. She jumped, turned around and faced her mother standing there. She was caught and her face reddened!! 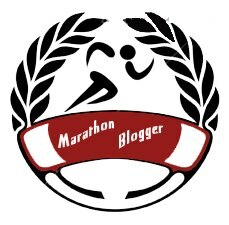 This fiction post is part of the Drabble Week in the group Marathon Bloggers Day 4. Ravi woke up to have a glass of water; heard the tinkle of breaking glass! With his heart thudding, he ran towards Ayesha’s room. The intruder was standing at the top of the staircase. The bullet caught Ravi straight in the heart. He wished he had said I love you, one last time! This fiction post is part of the Drabble Week in the group Marathon Bloggers. What happened to all the promises of loving and caring? When did the ego creep in? And why? Love ain’t enough? Left with broken promises, she cried. The world is cold, harsh and selfish. The roads are dark and lonely. I wish I could be back at home. Ma, pa, lil sis, I miss you all. Wish I could fly home fast. But tomorrow is another day, another beginning. And that belief I shall hold in my heart. The kitchen counter tops are sparkling clean. The dishwasher is humming silently. The clothes for tomorrow morning are ironed and laid out. The kid is in bed and it ain’t even 8 pm. I get some me-time to read and write with some of my favorite songs playing on my Ipod. They looked at each other. There was a hint of naughty and understanding too. She jumped in the puddle. He smiled, giggled, laughed out loud. They splashed water at each other. Walked in the rain holding hands. Tried to catch the raindrops in their palms. He said “Maama lets go home and have warm dudu”. My first attempt at a 55-er based on N and my jaunt into the rain today evening.